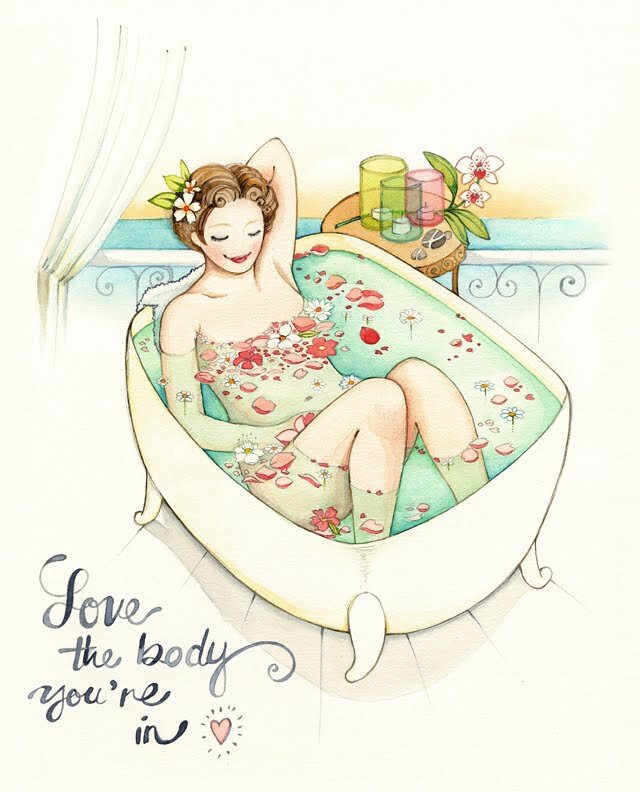 I finally finished the watercolor version of "Love the body you're in"
and the exciting news is that I created a wall calendar with it! 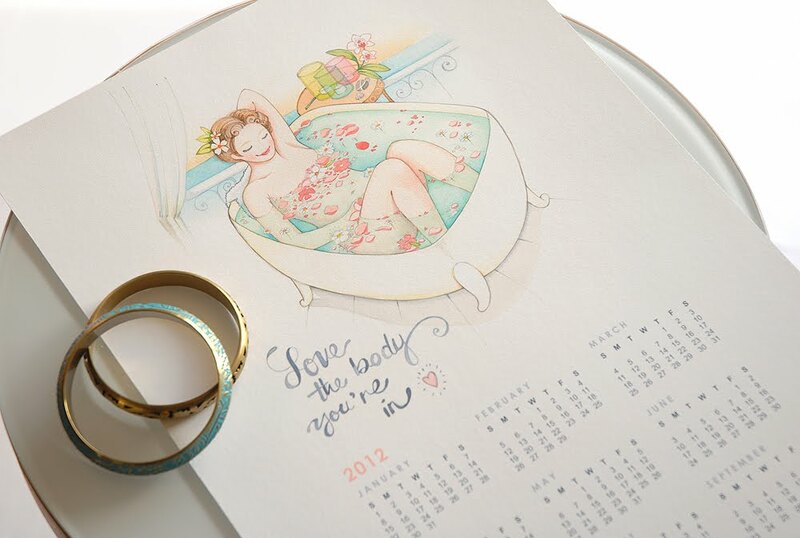 This wall calendar measures 11" x 17" and is gorgeous in person! 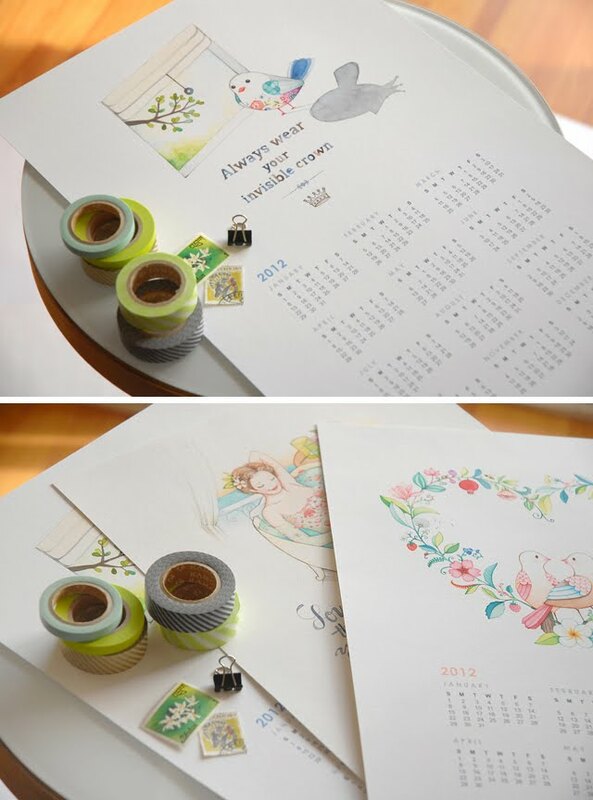 This calendar is also available in two more designs. 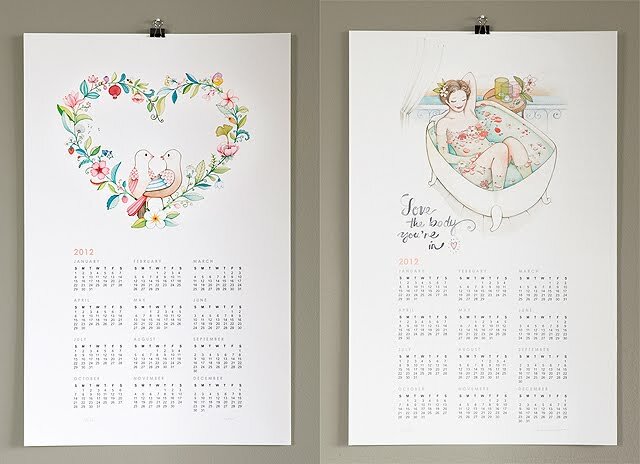 You can find them all 3 of these calendars in my print shop, under calendars category. Oh dear! This is incredibly beautiful! My mind is melting with it's beauty! 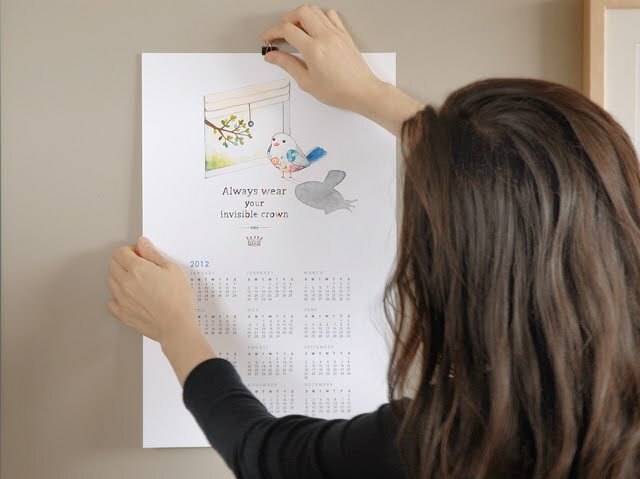 I know ... You have little secret trips to heaven and back, cause it's a part of there you illustrated in your lovely calendar! Oh my lord, they are all so purty! That bath does look so inviting. Dearest sweet afi, i was waiting for your calender news and so glad it's finally out! Off to check it out. Have a lovely merry happy mid-week and love to you! They are very beautiful, I love your colours. Oh so lovely.Have told everyone about your lovely blog! Całus na nowszym poście niczym Klimt.